Healthy lifestyle and a busy school schedule simply do not go together! I’ve been busy with internship, school and working for school. In the meantime I also want to exercise and continue my new healty lifestyle. Solution? Save time. One of the best time for me to work out, is to go right away when I get back home from school. It doesn’t matter if it is going to the gym or running. I’ll go home, throw my bags on the floor and quickly change. One of the best things that works for me, is to already wear half of my workout outfit. I know a lot of people seperate their casual clothing and sportswear. But seriously, sportswear can also be worn as a casual outfit. This post is a perfect example. My Free Runs from JD Sports are awesomely stylish enough to wear under leggings. My leggings are casual enough to wear as gym leggings. My sportsbra can be worn under my sweater because seriously… Who will notice? The only thing I have to do is change into a loose top, grab my mp3 and I am ready to go. It takes 2 minutes, TOP. This way I can jog before it gets too dark + it makes me feel like Superman when I quickly change as a pro. Inderdaad! Ik wissel op mijn stage meestal mijn bovenkledij al en dan ga ik recht naar de dansles. Dan moet ik daar alleen nog mijn broek wisselen :). Heel schone trui trouwens! THANKS FOR YOUR COMMENT, I LOVE YOUR TRAINERS!! I love the first sweater! Perfect sporty outfit! Really like it! Love both looks, but total black is my favorite. You look great! Would you like to follow me too? It would be great. I have the same problem, work work work means little time for jogging and gym. Great suggestion about wearing half your outfit! Super cute! I love the casual look. LOvE! Cool outfit and those sneakers are awesome. Completely agree on the casual and sportswear mix and match! Looks great! Amazing post darling!! congrats!! i hope see u soon in my blog c.o.c.o. great look love that sweater..
LOVE your HYPE sweat ! Great post dear! The firts look is my favorite! Every day I like sports clothing, now is not only for sports but as you say to go to school. 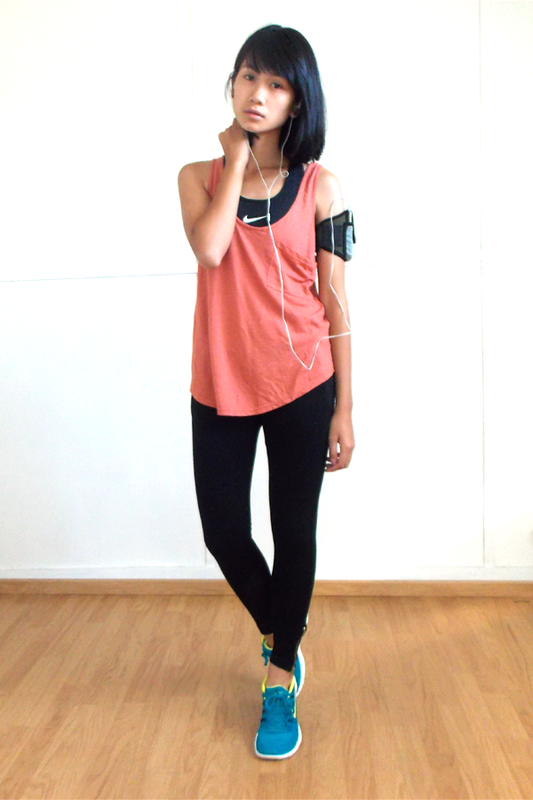 I tend to only wear sporty looks for working out, but I love your casual style! the hyper sweater is amazing!